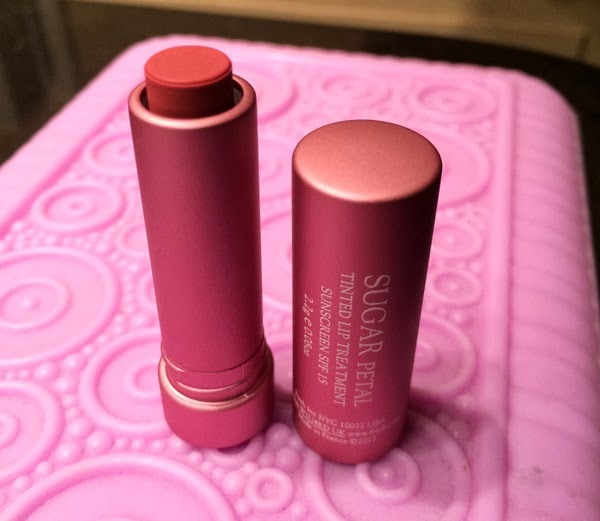 THE SKINNY: I really like the rose smell and flavor of this lip treatment by Fresh (as odd as that may sound). And they felt good, too. There's really nothing I don't like about this actual product, which includes a handful of vitamins and SPF 15 to help nourish lips. And then I saw the price tag! More than $20 for a regular sized tube (about the size of a Chapstick tube) is a little much. Maybe someone will gift it to me this holiday season ... or even better maybe I will find another tube in a subscription box. CHECK IT OUT: This item comes in eight colors/flavors and is available at Sephora.